Graham is gracious and self-aware enough to know that his lucky life—“a chain of pleasant events”—was made possible by the happy accident of his silver-spooned birth. His father was the youngest son of the Duke of Montrose; his grandmother on his mother’s side was the proprietress of the arch-ToryMorning Post. Prince Rainier was his childhood playmate; Rudyard Kipling gave him a many-bladed pocketknife just before Graham’s departure for Winchester (“where, of course, it gave me tremendous status in my dorm”). But Graham combined the easy charm born of privilege with an intense interest in the applied sciences, a pursuit rare among the classics-minded aristocracy. At Winchester, at Trinity College Cambridge, and at Trinity College Dublin, he studied electronics, physics, and crystallography; he conducted radar research for the Fleet Air Arm during the Second World War, and after the war he worked for the conservation laboratory of Britain’s National Gallery. In addition to his elegantly written, exquisitely illustrated scholarly books and reports, Graham is the author of the deeply researched, exceptionally vivid and lively biography of the pioneering archaeologist of the Maya, Alfred Maudsley—so it’s not surprising that this handsome (if, owing to its large size and extra-heavy stock, somewhat unwieldy) volume is a work of great élan and literary merit. It is also, if inadvertently, a deeply moving account of one man’s redemption. 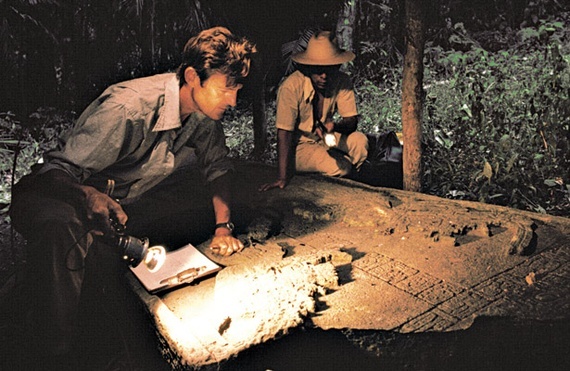 Archaeologymagazine has rightly declared: “Ian Graham has done more than any other person to save the fragile written record of the ancient Maya.” Graham’s story makes clear that the Maya saved him as well. 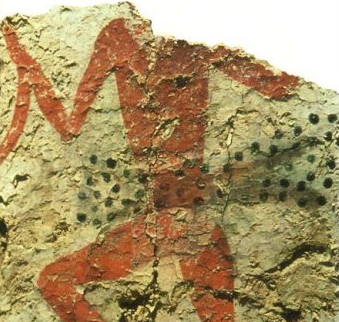 ÇATALHÖYÜK, AN ARCHAEOLOGICAL site in south-central Turkey, is the largest and most significant—and perhaps the most bewildering— Neolithic settlement yet discovered. A community that flourished between 8,000 and 9,400 years ago, Çatalhöyük (pronounced Cha-tal–hoo-yook) had a population of as many as 8,000 people, who built, and incessantly rebuilt, their mud-brick houses (the settlement seems entirely made up of domestic buildings) in a honeycomb-like cluster. That cluster was so dense that it left no room for streets or even pathways between the houses—residents entered through the roofs, effectively making the rooftops of the settlement its streets.